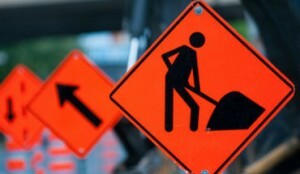 MONTOURSVILLE – Long delays may keep happening on I-80 as road work continues in Northumberland County. Night work starts Sunday night at 9pm. The work will affect the area between mile marker 211 at the Susquehanna River Bridge and mile marker 216 at Limestoneville. There have been long westbound delays there lately. PennDOT says that alternating lane closures between the eastbound and westbound side can be expected throughout the work times of 9pm and 2pm during the work week which Sunday night until Saturday afternoon. Both lanes on I-80 will be open during the hours of 2pm through 9pm. PennDOT says the work is expected to be completed in mid-November weather permitting.